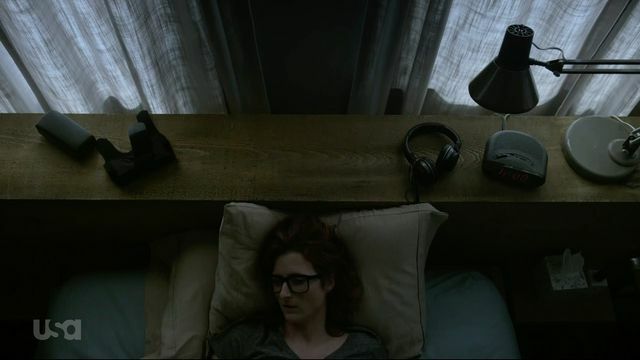 I wasn’t that interested in the Amazon Alexa until I saw its product-placement appearance in Mr Robot. 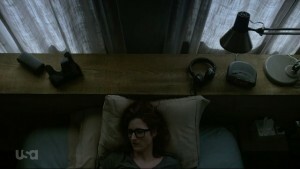 Grace Gummer’s character, Dominique DiPierro. lies in bed, unable to sleep, talking to the device. It’s an odd scene, and the character’s isolation is probably not the best advert for a new piece of technology. The thing that fascinated me was the potential for empathy in the voice interface. DiPerro took some comfort from the machine. This might be a kinder interface than the command line (which a voice interface is, ultimately). This is possibly a strange place to start looking at a new piece of technology, but there you go. The main reason I’d not looked at Alexa sooner was a disappointment with the command-line bots I’ve seen over the years. Most of them seemed stilted and artificial. Rather than being a natural interaction, I’d be fighting a parser, like I was playing an 80’s era text adventure. I assumed Alexa would be more of the same. Mr Robot suggested other possibilities. Voice is a natural interface – it’s one we use in daily life. We speak to people when we’re with them rather than turning to writing notes as being efficient. The tutorial lists monitor, mouse and keyboard as pre-requisites, but these aren’t needed if you SSH into the Pi. This worked perfectly as long as I remembered to plug the Pi into the router before turning it on. It even set itself up on the network with a namer of raspberrypi.lan – which was very helpful, as I’m not that great at configuring networks. As Jez Nicholson pointed out to me, this is a “slightly hostile ‘frontier land’ coding environment”. The java client spits out stack traces to the command line in a way that’s a little surprising from a major company. And my first attempts to set up the Pi were frustrated by an unhelpful error when authenticating the device on the Amazon site – no indication what it was, just the assurance that “we’re already working on the problem”. I eventually found out what the issue was after googling the issue. It turned out I’d not copied my DeviceID exactly. If you’re writing an API, you have to give as much feedback as possible to the user. APIs really should return detailed errors or trigger an automated ticket creation (rather than claim you’re working on the problem). You could even email me when it is fixed. The default setup for kitt-ai meant that the wake word detection was far less sensitive than Alexa herself. It was a little difficult to get the device to acknowledge my repeated calls of its name, like I had a poorly-trained dog in the flat. I’m not sure what the neghbours make of my increasingly loud calls of “Alexa”. Alexa was happy to give me the weather – in Washington State. When asked “where am I”, it insisted I was in Seattle. I guess there are some settings need altering somewhere. One thing that feels like its missing on voice interfaces (or, at least, this implementation) is a return key. There was a short pause after I finished speaking. When speaking to humans we can usually figure out when one of us is done talking. Also, the need to get information from servers prevents a flowing interaction between us. Now I’ve got this working, which means I too can ask Alexa when the world will end. I now need to set up a simple Amazon skill. Which looks like it could be as much fun as setting up Alexa was in the first place.